During my childhood days, one of my favorite pursuits when wading in creeks was to catch crawdads for bait to use when fishing bass in heavy cover. I liked to turn over rocks in the stream bed, chase down the crustaceans and catch them by hand. While pursuing crawfish, I would notice they would flee at high speed and recklessly bump into rocks or logs and change directions or they would stop and try to burrow under the cover. Those childhood days in the creeks helped me understand how the same crawfish fleeing scenario plays out when bass chase crawfish. While slowly crawling a crawfish-imitating bait along the bottom catches plenty of bass, there are times when crashing a craw into cover draws more strikes. Here are some crashing craw techniques you can try to trigger reaction bites from bass. Crawfish like to hang around weeds but presenting a craw bait to bass in thick matted vegetation can be challenging. Crashing a craw through the mat (also known as punching) causes a commotion that draws a bass’ attention and the fast-dropping bait triggers a reaction strike from the aroused fish. 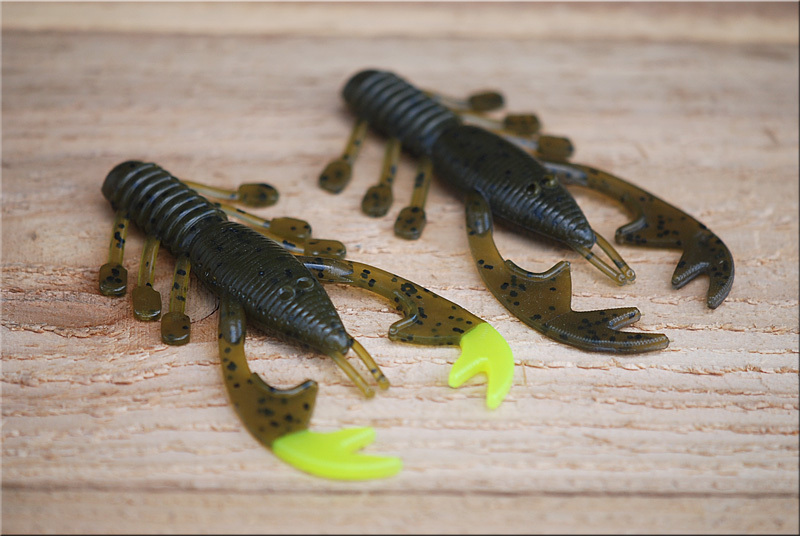 A craw worm such as the Gene Larew Salt Craw is best for punching through weed mats when fishing for bass in heavy cover, because its slender body and small pincers slide through the vegetation easier than a bulky creature bait with multiple tentacles that tend to hang up in the cover. 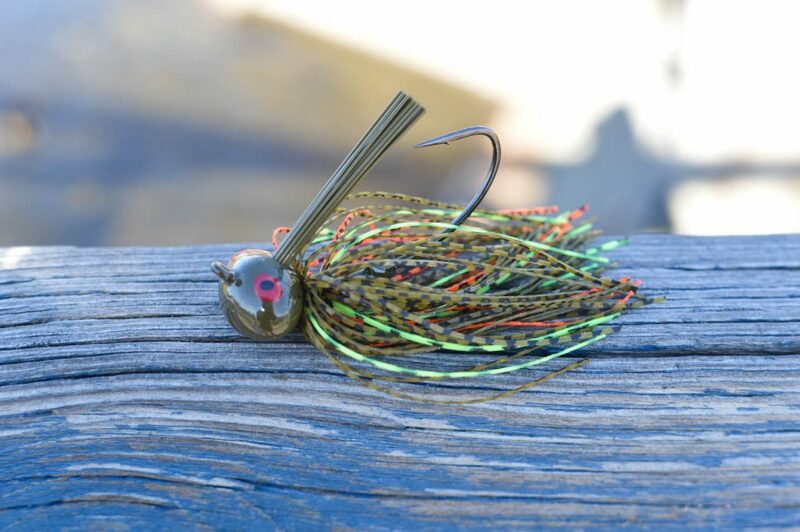 The Texas-rigged craw worm should be punched with a heavy bullet-shaped weight to ensure the rig will crash through the mat. When bass are cruising the shallows during the spring in preparation for the spawn, I have tempted these fish by banging a craw-imitator into chunk rocks. I have taken the same heavy weights used for punching and matched it with a beaver-style bait to imitate a crawfish. A Strike King Rage Craw will also work well for this tactic. After fishing for bass in heavy cover and spotting a cruising bass, cast well in front of the fish and swim the lure towards any chunk rock sitting in front of the fish. When the craw gets close to the rock, speed up your retrieve so the Texas-rigged bait will crash into the rock. Then let it sit next to the rock so the bass can move in for a closer look. If the fish turns away from the craw, reel in quickly and cast in front of the fish again and try the same presentation. You might have to make multiple presentations this way but eventually the fish will bite if it remains in the shallows. While fishing with Bassmaster Elite Series pro Tommy Biffle, he showed me the most effective way to fish his Gene Larew Biffle Bug, which is a great crawfish imitator. He matches the mudbug imitator with a Gene Larew Hard Head Football Jig ranging in size from 1/4 to 11/16 ounce depending on the depth he is fishing. His retrieve when fishing bass in heavy cover is different than the standard lift-and-drop retrieve many anglers use for craw-imitators. The key to catching bass on the Biffle Bug is to keep reeling the lure at a steady pace similar to retrieving a crankbait. Biffle makes sure he is reeling fast enough to keep the lure off the bottom but slow enough so it is constantly banging into rocks and other objects on the bottom. I have used the same tactic to catch quality prespawn bass that tend to ignore a Carolina-rigged plastic lizard or jig and craw worked along the bottom. 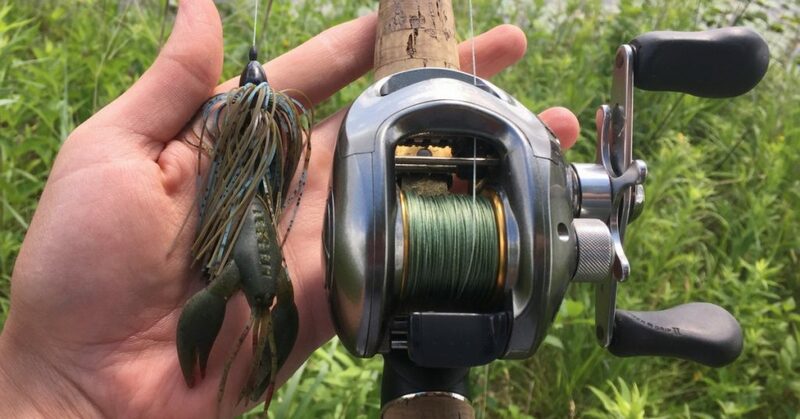 A presentation of swimming a jig-and-craw combo and crashing it into some type of solid cover can be used to imitate both crawfish and baitfish. 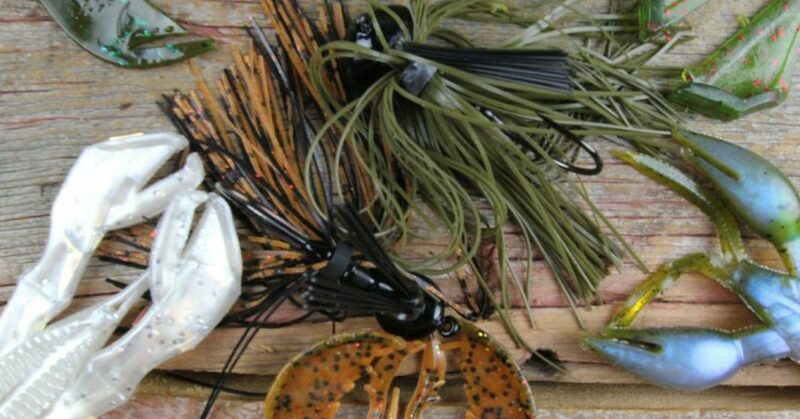 You can use a jig-and-craw combination in brown-and-orange, brown-and-green pumpkin or black-and-blue hues to imitate a mudbug. 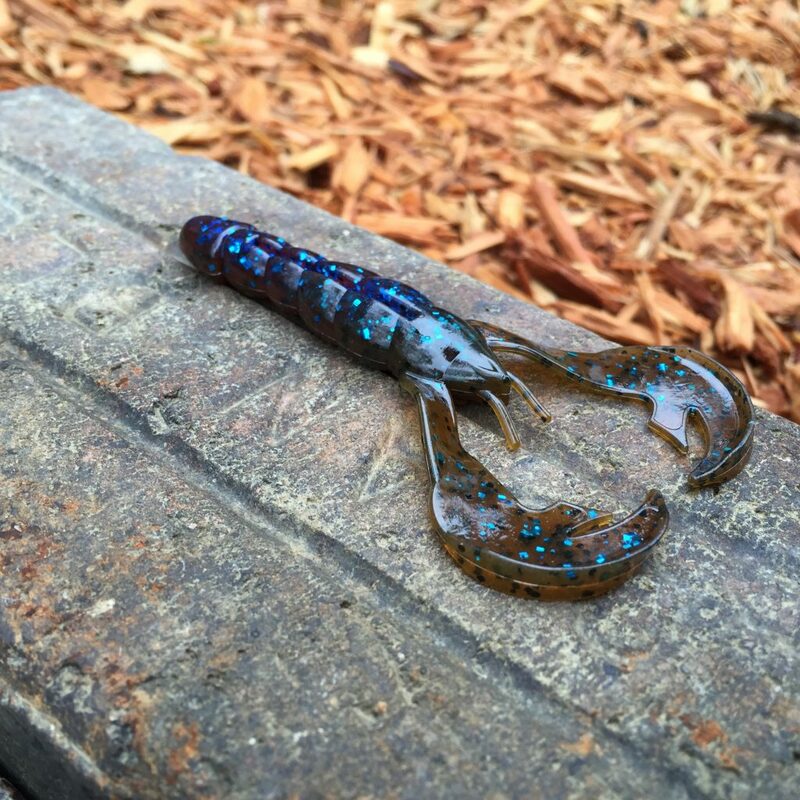 Use a big time crasher like the Catch Co Wreckin’ Craw. Swim it close to the bottom and when you feel it tick something, reel faster or sweep your rod to speed up your retrieve and then let it crash down into the rocks to trigger a strike. 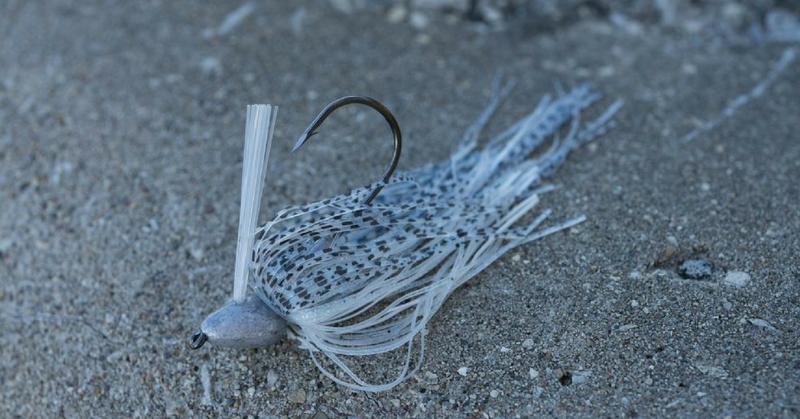 When bass are gorging on baitfish in the fall and you’re fishing bass in heavy cover, pick a jig-and-craw combo in gray-and-blue, white-and-silver flake or all white to imitate shad. Swim the bait close to the surface near laydown logs or boat docks and bang the jig and craw into any branches on the laydowns or metal posts of the docks to elicit a bite from any bass following the lure. Riffles in streams are ideal for crashing crawfish imitators into rocks to catch smallmouth bass (one of our favorite ways for fishing bass in heavy cover). I like to use a 5/16-ounce brown-and-orange finesse jig tipped with a small green pumpkin plastic craw and cast it above the riffles. I let the fast current push the lure through the riffles and let it crash into the rocks. Smallmouth usually inhale the bait as it bounces through the rocks before the lure reaches the calmer water.